In the race to innovate, the insurance industry has been eagerly eyeing the moves of the global tech powerhouses. But one firm took that a step further, tapping an executive directly from Silicon Valley. Jeff Somers, a tech veteran with experience at firms including eBay, Microsoft, Ticketmaster, and Amazon, was appointed president of Insureon in 2016 – an online-focused small business insurance agency that serves freelancers, independent contractors and small business owners. Insurance Business caught up with Somers to talk about the mindset of today’s consumers, applying Jeff Bezos’s advice to Insureon, and his goals for 2018. My journey to the insurance industry was non-traditional. I started out working at consumer-facing tech companies like Amazon, Zillow and eBay. What ended up drawing me to the insurance industry, particularly the small business space, was the opportunity to enhance the customer experience. I wanted to bring the lessons I learned from working at consumer tech companies and apply them to building a customer-centric experience for small business owners in need of commercial insurance. This is something Jeff Bezos [CEO of Amazon] would preach: focus on delighting the customer and you will have the opportunity to build a great business. Whenever you dive into a new industry you have to come up to speed quickly on how that industry works. With Amazon, I had to learn about book publishing and music; at Zillow, I learned about real estate. 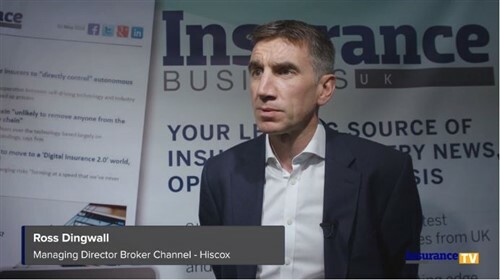 In my current role, which I stepped into in September 2016, I’ve had to get up to speed with how small businesses think about insurance. This included doing a deep-dive into how the industry operates, such as how to work with insurance partners and carriers, and understanding how to deliver value to our customers. Another challenge is meeting the expectation our customers have of us and our experience. While we sell to small businesses, our customers are sole proprietors or micro-businesses with small staffs, which means they often think and operate like consumers. This means that they expect their experience with us to be as good or better than what they are accustomed to with other consumer-facing online retailers, like Amazon or Kayak or Expedia. That’s where my experience with consumer-focused companies can help. It’s also a challenge to keep up with the industry’s pace of change, and, conversely, not moving too fast. There is a lot of value in innovation, especially from a technology standpoint, but it takes partnerships to bring it to life. We have to work closely with our partners to develop a shared vision that also provides the most value to customers. Finally, we have to be committed to our vision, and take the time to let it develop. It may not yield dividends right away, but you have to learn to be patient about the fact that it’s going to take time to see real results. Have you seen any significant changes in the insurance industry during your career? The speed of innovation is the major change that I’ve observed. The pace of change in the insurance industry is increasing all the time, and we strive to keep up at Insureon. For instance, small business owners are beginning to expect that their experience shopping for insurance, mirrors their experience as consumers. It’s very exciting to see how the industry is adapting to these demands. Specifically, companies are now focusing on improving the mobile experience to better reach prospects and current customers. Businesses are aware that consumers are spending the majority of their time online using their smartphones, and leading-edge companies are responding by creating a world-class mobile experience. We’re investing heavily to do the same. Another big change is the use of big data in insurance. While data has always been a major factor in insurance, companies can now leverage data to evaluate risk, predict better outcomes and make smarter decisions. Personally, my goal this year was to break 3:30 in a marathon, which I just did at this year’s rainy Boston Marathon. Professionally, I’d like Insureon to exceed the goals we established for the year, to continue to build a great team and culture, and to invest to make real progress in our mobile-first customer experience. We want to push on this hard and make it a cornerstone of our business, so that customers can get a quote for an insurance policy on their phone within minutes. In a dream world, I’d trade jobs with Brad Stevens, the head coach of the Boston Celtics, in a second. A close second choice would be teaching and coaching at Boston College, where I have two kids currently enrolled. Lorica joint chief executive: "I found broking to be more rewarding"